Do I need a Project Manager? As project managers we assume everyone sees a need for a professionally trained or experienced project manager on every project. It is sometimes a shock to find that non project people see a project manager as an unnecessary overhead. Often we need to justify why a project manager should be involved. 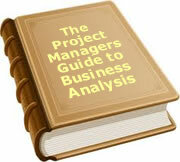 This white paper sets out to list the reasons for employing the services of a project manager. A project is different to 'business as usual' in the following way. Selecting what activities to undertake, who should be involved and how they should be completed requires considerable attention. People generally cannot be left to their own devices to do work as they see fit. Given the difference between the requirements of an operational management role, and a project management role, can a typical manager easily slip between the two? The answer is sometimes, but not always. The skills required are often very different. I was asked to look at one project which was managed by a production manager. Whilst it produced reports on schedule, and seemed to be tightly controlled, it was not making progress. After meeting with most of the team, it became clear that the management was totally inflexible. If three weeks were allocated to a particular task, that is how long was spent on the task. If in reality the task took one week or six weeks to do properly, the team still spent three weeks. If it became clear there was a better way to go forward, it was not taken up. Deviating from the schedule was heresy. Problems were mounting and not being addressed because they were outside the original plan. In fact the manager proudly told me that there had been no need to adjust the plan from the original schedule created some nine months before. This blinkered approach did not suit a project where things change on a daily, if not hourly basis. A project is not a production line. A project is like a plant. You know approximately what it will look like, but it doesn't grow to a blueprint. It changes and evolves as it grows. A good production line manager may not make a good project manager. Project management is increasingly becoming a people stress management role. The really good project managers are the ones who can manage people through the stress of a high demand project. They spend 80% of their time managing the project, and 20% to ensure the people are still motivated and involved. They use the carrot rather than the stick. The project manager who sees people as "live assets" rather than "human resources" may have a role in a project that is in crisis. It is the equivalent of the person who takes charge on a battlefield and makes autonomous decisions when nobody knows what to do. People will follow because they have no alternative. Using the same approach in an environment where everyone has a different view just doesn't work as well. It is leadership by volume. The louder you shout the more you think you can influence people. People react by either defiance, or by doing exactly what is requested and no more. I was told of a project for a US Bank that required people to work 80 hours a week over a number of months to meet deadlines. When the project was in its second year, there was a change in senior management and the project was cancelled without notice. The de-motivation was incredible. People were asked to return to their old jobs and carry on as though nothing had happened. Many just walked out. Others returned but were poisonous in their departments. They were so angry at the management they became a liability and many were eventually fired. In a few months they went from highly motivated company workers to disillusioned employees. Would project management have helped? By better project management, perhaps the warning signs that the project was at risk could have been communicated. Expectations could have been managed. Perhaps better project management could have refocused the project to smaller deliverables in shorter timeframes, or a complete re-scoping of the project. All these are the normal activities of a project manager. Any experienced, people oriented project manager will understand these sorts of potential issues. By project managing the close down of the project, many of the employees could have been salvaged. When someone says they don't need a project manager, they have obviously not thought through the venture they are about to undertake. It needs to be explained to them that a project manager is a necessity, not an overhead. In fact the first person appointed should be the project manager. If not, when a project manager eventually arrives, they will have to undo much of what has been done, and restructure it into a project. The skills required by a project manager are different to those of an operational manager. An operational manager does not necessarily make a good project manager - and vice versa. Project management is about focusing everyone on a goal, and managing the resources and workload to achieve that goal. All this in a high stress, deadline driven environment. Projects requires trained professionals with project management expertise. To date, 67 people have rated this article. The average rating is 4.07 - Add your rating. Just select a rating and click the button. No other information required.